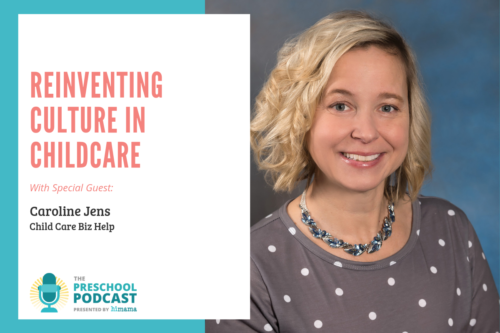 Leaders in child care wear many hats – from running the business operations to ensuring that the children are well cared for. 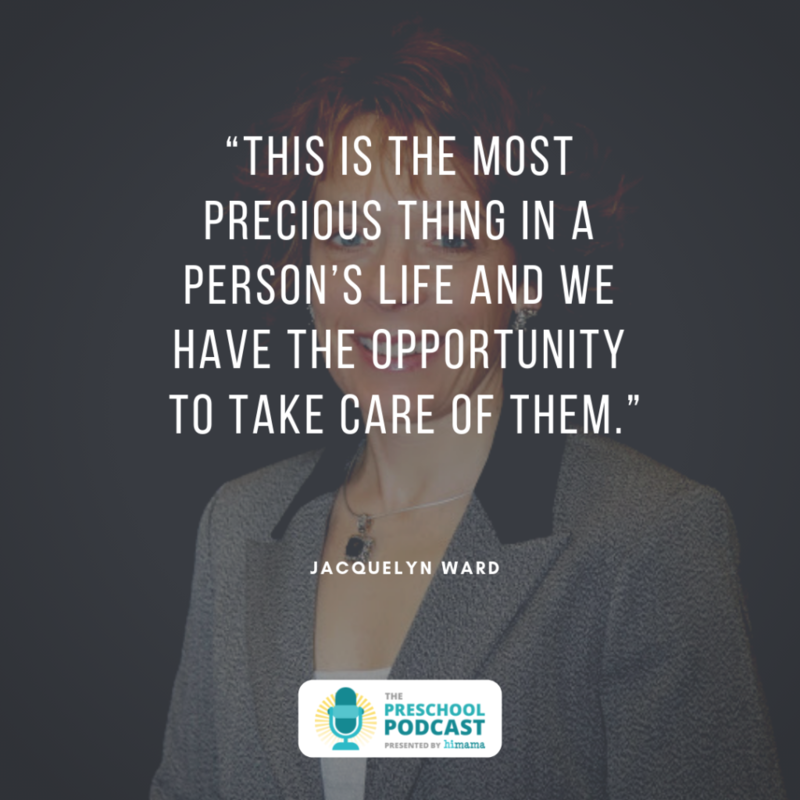 In this episode, Jacquelyn Ward, Director of Pleasant Time Child Care in Wisconsin, shares her experience opening her center in 1992 and growing her business from 8 children to 85 children. 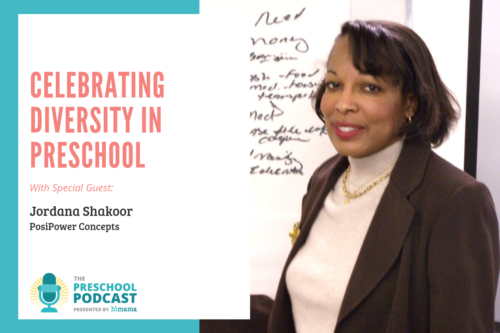 She talks about overcoming challenges as well as the importance of finding a community of like-minded peers, making practical business decisions, and expressing gratitude towards your staff. This is a hard business. This is the most precious thing in a person’s life and we have the opportunity to take care of them. We celebrate that, and I guess just continuing to celebrate that with them and just being grateful and sharing that and just constantly communicating that. 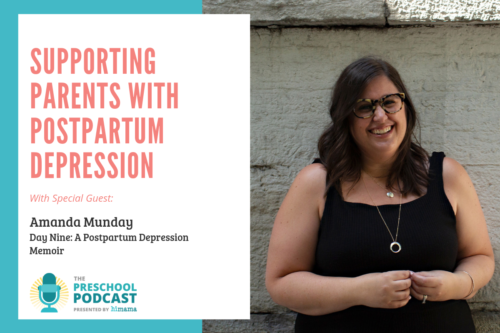 Jackie [Jacquelyn Ward], welcome to the Preschool Podcast! 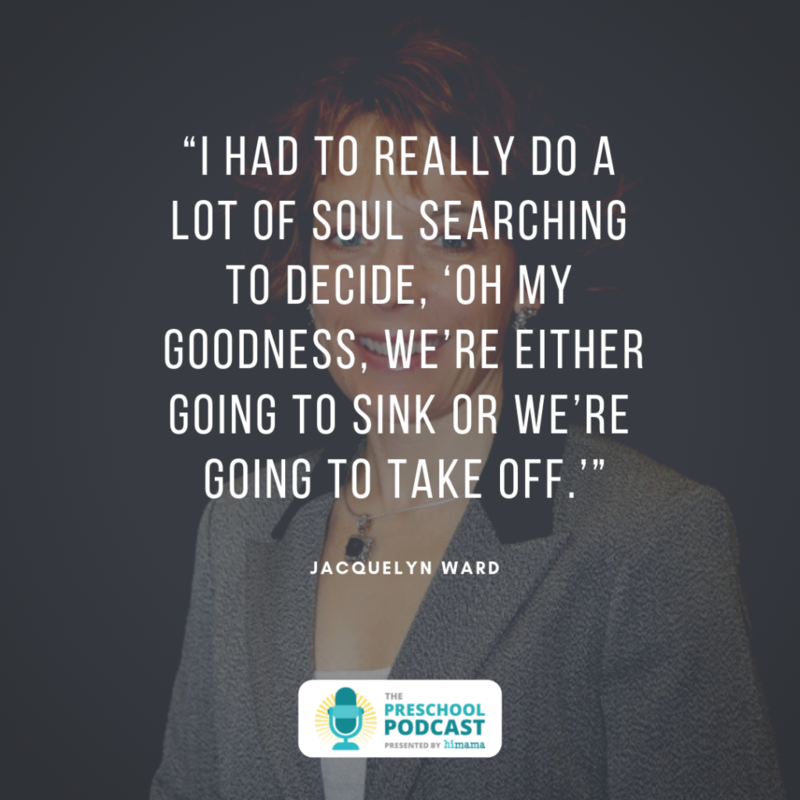 So today on the show we have Jackie Ward. She is the administrator of PleasanTime Child Care in [Cambridge,] Wisconsin. She is also active in the Wisconsin Child Care Administrators Association [WCCAA], who just happens to be having a conference next week in February. Great to have you on the show, Jackie. 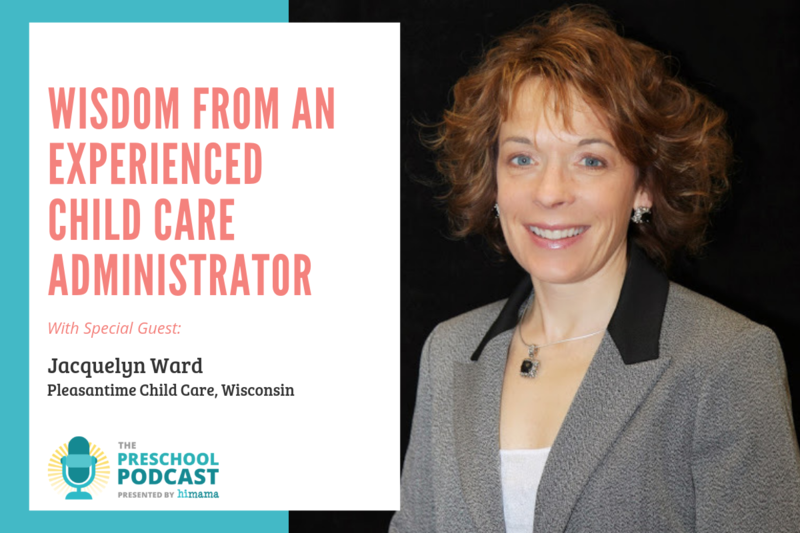 We’re going to talk to you a little bit today about your learnings and lessons for our listeners, based on your experience as an administrator of a childcare program in Wisconsin. Let’s start off learning a little bit about you and your background, your journey to being and becoming an administrator PleasanTime Child Care. Absolutely. Thank you very much, I appreciate the opportunity back. A long, long time ago –back over 30 years ago – I did start in small center and worked as just a teacher’s aide. I just really felt the calling – “This is what I want to do” – and had some early-childhood background. And so I did that then worked my way up. There was no teacher opportunities at that time. Yet the director was opening up a center probably about 20 miles away in a new community. And I had the opportunity to take that promotion and then went from teacher all the way up to a director. [I] loved it, but yet I felt there was much more that I could do. And so we had the opportunity. They were looking at a needs assessment in a couple of the communities around where I lived. And a friend of mine and I decided, “Let’s just go for it and see what we can do.” And from then on we started PleasanTime – that was in 1992, and we start out with eight children. And at that point it didn’t seem like there was any space, anybody looking at land. And we thought, “Oh my goodness, what are we going to do?” We looked at a couple of houses. We did go to the board, and back in 1992 in this area most people stayed home. So this was a really different concept for people to actually embrace and think, “Why would they want to bring a child care center to our town?”, even though the needs assessments through the school showed that it was. And so we decided to join the Chamber and just to get to know the community. And one of the people in town that was a builder came up and talked to us, and he said, “I really want you to be part of this development. And were, like, “Yeah, right.” This was two young ladies in their 20’s. Are you kidding? Seriously? And he’s, like, “Yes. But there’s some things we have to do. This land was my father’s. It was a farmland. We have to annex it. We’ll go through some things.” Boom, bang, here we are, right? Have land, have a new building, rose from 8 to a different building at 25, came here at 48. And then in 2000 we expanded to 85. So everybody from six weeks to 12 years [of age] is under one roof. And so we continued to maintain it and it feels good now. Lots of hard work, lots of figuring out what I want to do and where I want to go. And now is my time to share my journey and what I can do to help the leadership of the early-childhood profession to be amazing and to continue to maintain the elite status that they deserve. Cool, what a great story. And I think, for me, what really resonates is it’s a really great example of… overnight success stories are typically more myth than reality, right? This was a journey where you started with eight children in the program and over many years built it up to be what it’s become. And so what I think would be great is if you could share with our audience some of your major lessons learned over this time as you’ve grown PleasanTime Child Care to be what it is today. And you talked a little bit about some of the bumps in the road that you had and where you maybe had to push your comfort zone. 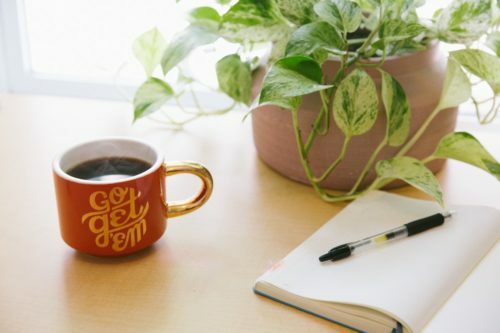 Can you tell us about some of the things you learned through that process that you think would help other folks that are listening here today, if they are thinking maybe about starting their own programs? Absolutely, I would be totally honored to do that. The one thing I think is very important – and you just touched a little bit on WCCAA, and that is a local organization – and I feel that has been one of the most important parts of my journey. And I believe that is because these are people on the field that really are in the trenches with you in regards to leadership. And it’s hard when there’s decisions and you have conflict and there’s just that, “Ugh, I don’t think this is right, but where do I go, or how do I go by it?” You have colleagues that you can count on and you can talk to. And we meet once a month, every other month, regionally – so just our small group in our region in Wisconsin. And then we meet annually which is at the Conference. And just having those people in your fan club and being able to call them and really talk to them about things that you can’t talk to your Assistant Director [about] or maybe not your teacher. You really, really need to dive deep and think, “Oh, I got that A-ha! moment because I could talk it through,” but it was always confidential. I think that’s the key thing. And making time. Making time to be part of that, whether it’s being on committees or whether it’s just investing in that one meeting once a month just for you where you can go and meet with your colleagues, enjoy a lunch with them and still come back and have that nice break. And I think that’s one of the key things. And also constantly going to conference[s] and learning, because wisdom is the key. 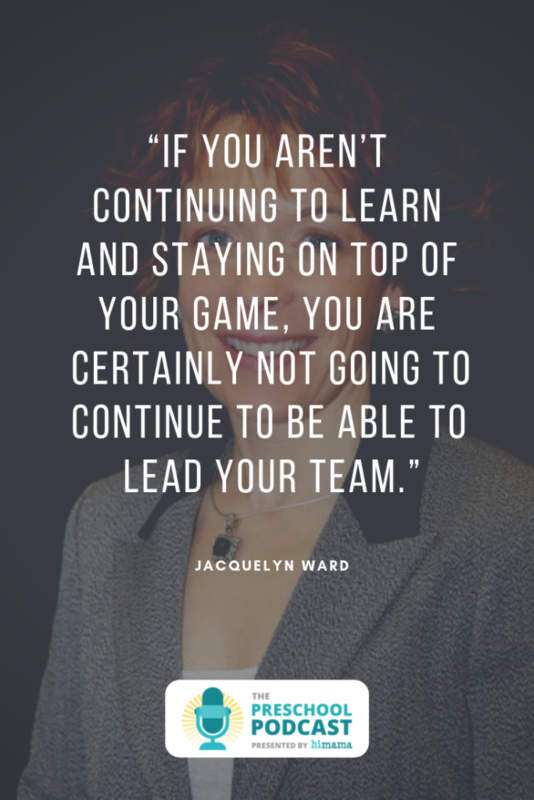 Because if you aren’t continuing to learn and staying top of your game you are certainly not going to continue to be able to lead your team. I think that’s really, really important. Cool. And one of the things I do want to talk to you a little bit more about is things like leadership and the importance of leadership and what that means to you. 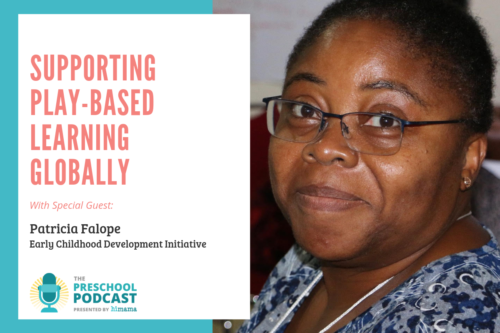 But before we go there, one of the things that I think sometimes doesn’t get discussed too often in childcare and early-childhood education, because we’re all passionate about children’s development and learning we don’t talk too much about the business side of childcare. But it’s actually a very important aspect, as I’m sure you know. Can you share with our listeners a little bit about some of your learnings on that side of things? People weren’t having kids. People were not moving. There was nothing happening in the childcare industry because people were nervous. And there’s no way they’re going to bring a child into an unstable economy and an unstable family life. The people that we’re dealing with right now, the next generation, they’re invested. They know where to look for information. And they do all their research. And so everything had to be in place. So for a long time it was, like, “Do I just quit? Maybe my passion is not in childcare.” And that really helped me to really dig deep and make those decisions. We had changed and invested in an app called My Kid’s Day, which now parents get virtually how their kid’s day is, and pictures and all that. And that was something that we started to take on. “So how do we change our program?” Reinventing to really dig deep; do a website; do a music class. We have somebody for music come in and now music is part of our curriculum. And we do parent nights where we have a night a couple of times a month where the parents have gone on a date. We care for their kids. We have a theme-based opportunity where they [their kids] can come and do fun activities and do games while they [the parents] go out and enjoy themselves. So we really had to invent the kind of the wheel of, “Who do we stand for and what do we need to do?” And because we continue to gain that momentum now our enrollment is going up. We’d spend… probably in the last six months we probably have at least 50 people on the waiting list. We have gained three extra staff. All the rooms are almost at capacity. And now it’s continuing to maintain it, to maintaining our staff being happy, to maintaining the communication is open so they know what’s going on, to maintain that constantly working with them and knowing that it’s so important as a leader that they’re still important. Yet now we have to make change where we have to add more people. And same with our phone account. It’s like, “Can you just look at it?” They want to help you. They want to keep you because they’ve seen that longevity. But how little things like that, the things that you can tap into and say, “You know what? I met with the person that does our rugs and our paper towel. And I’m, like, “You know, we really need to figure out… we want to keep your system. We want to keep it, but we’ve got to figure out what’s best. This is where I budget. How can we work that out?” So those are things that you can do that are helping cut costs but you’re not taking away from the service that you provide. Yeah, that’s a really great practical point of advice is, there is a bit of a push-pull. And you’re running a business same as your phone provider and the people picking up your garbage. And like you said, they want to have you as a customer. 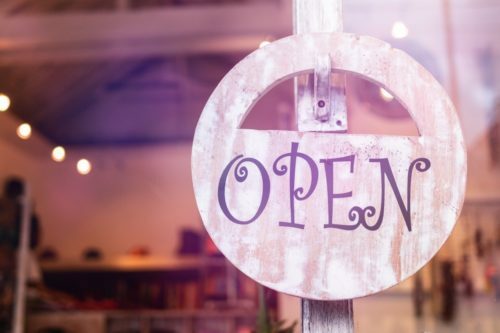 And so it makes sense to have the confidence and pick up the phone and say, “Hey, we want to keep using your service but we have certain budget constraints.” And I think a lot of times, too, service providers appreciate the fact that small business owners deal with these challenges, right? I think a lot of people can… that resonates with a lot of people. So it’s a good, practical point of advice. And it’s interesting, too, to hear your story because I think it really brings home the point that it’s curious to see whenever you fall on tough times and challenging times, that’s often when you start getting creative and thinking about, like you said, “What are we trying to do here” and trying to think about your branding and making different improvements. And it’s funny how that oftentimes happens during those times that are a bit challenging that force you to think about things again. And so you talked a little bit there about working with your team and leadership. Let’s dive into that a little bit more. So what are some of your lessons or approaches that you have when it comes to leadership and having a great culture within your programs? And there are so many details that I don’t think they even realize, and showing gratitude and showing appreciation and really changing your mindset to serve, to serve them first, that you are their servant. I’m not saying [that] yes, they get everything on a silver platter. 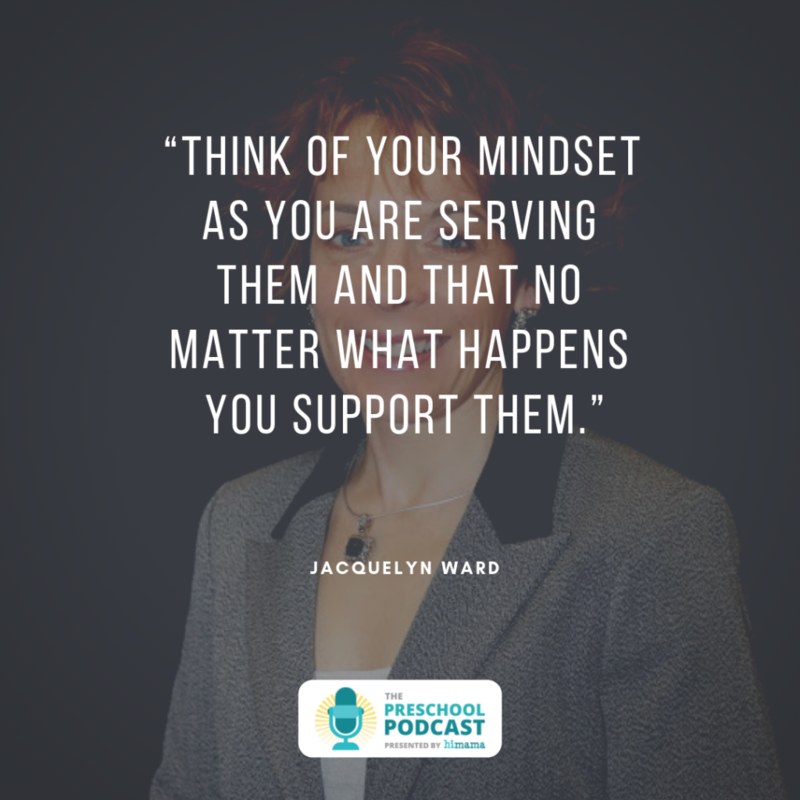 Just think of your mindset as you are serving them and that no matter what happens you support them and you serve them and you will go with them [into] the trenches and you will be there for them. And give them the mindset and the courage to ask, yet be there to jump in when they need it, or [if] you hear a baby crying just to check in: “Hey, how you doing?” Or just saying “Good morning” to them. That’s huge. One thing that I do is I spend a lot of time investing in gratitude and appreciation because I think that is huge. 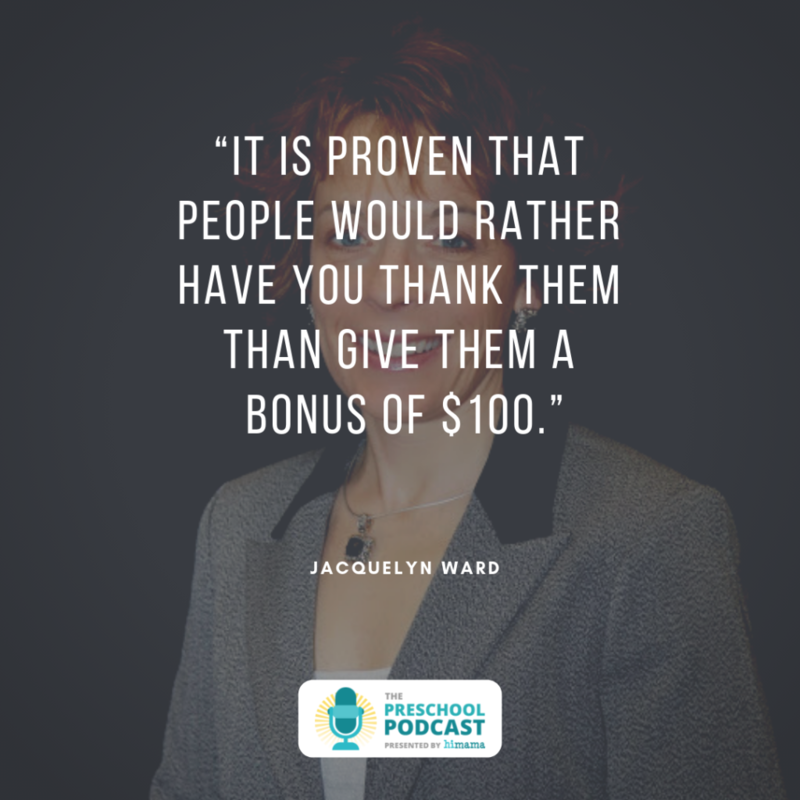 It is proven that people would rather have you thank them than give them a bonus of $100. It sounds super crazy but it costs you nothing. And one thing that I do is I write, it’s called a “gratitude report”. And I do handwrite this. And I’ve done this since 2001 and I’ve never missed a month. And I write just… it can be a couple sentences of things that I’ve seen them do in the month that I’m so appreciative for. And then another thing I do is I attach a gift card to somebody at some place in town that they can go and treat themselves for the month. And it can be… and I’ve worked with the bakery where they give me tokens for doughnuts, or Culver’s [Restaurant] where they give me tokens to go get ice cream, or it might be getting a free slice of pizza at the Pizza Hut. People are so are so generous and giving. So it’s not like it would be something that’s way budgetary. But you took the time to write that note and to actually give it to them, and they get it once a month. But it’s showing them and telling them. It might be even writing a special note. Some people do when they’re when they get their payroll cheque. It may be a quote that you’ve taken the time to show your gratitude and appreciation. I think that’s what it comes down to. This next generation that we’re dealing with is a whole new being. And you have a balance of not only millennials but you have the baby-boomers and you have a little bit of everything in between, and then the next generation that’s coming up which is truly amazing as it seems. And so how can you balance them? But the key that keeps the glue together is gratitude and appreciation and that they know they’re appreciated for a job well done. This is a hard business. It’s hard to know when [they ask], “Oh, what do you do for a living?” [You respond,] “I take your kids.” [They say,] “Oh, wow. I don’t think I could do that.” Really? You’re investing in the future. This is the most precious thing in a person’s life and we have the opportunity to do to take care of them. We celebrate that, and I guess just continuing to celebrate that with them, and just being grateful and sharing that and just constantly communicating that. Yeah, there are some times that I want to poke their eyes out. You know what? Because it’s, like, “Really? Oh my goodness.” But I have to keep that down and know that I need to get them to level; I need them to be. And once I get there, [it’s] smooth sailing. I can maintain that [and] start to step back. Yeah, that’s huge. And I would go so far as to say, if you’re listening to the Podcast and you’re a director, owner-operator, administrator of a childcare or early-learning program, probably the biggest impact thing you can do for the least sort of cost is gratitude and appreciation, like you said. It’s so impactful. And there’s actually this survey that is used for employee engagement by Gallup, and there’s twelve questions. And one of them is, “Have you thanked or recognized your employees within the last seven days?” I think is what it is And it just goes to show you [that] the frequency with which you should be providing recognition and appreciation is, like, once a week at the least, sort of thing. So a very, very good point pointer in terms of huge value opportunity with gratitude and recognition in the workplace. Appreciate you sharing that. We are quickly running out of time, which is hard to believe. So we’re really just getting into a very interesting subject that we could dive much deeper into. But, here we are. So great, great tips. I’m just going to circle back and talk a couple. So one is, [it’s] important to get involved with some local associations or communities where you can talk to your peers. I also do agree that that is super-duper important. When it comes to the business side of things there’s going to be challenges and bumps in the road and that’s really when you have to step up your game. And gratitude and appreciation for the people you’re working with are huge. Any other parting thoughts or advice for our aspiring leaders in the field of early-childhood education? One thing, a little golden nugget that I would like to just leave on – because this is also something that I have trained in and learned about and also have learned that there’s some big companies that are really embracing this for their staff – it’s called Emotional Intelligence 2.0. And the book is by Travis Bradberry and Jean Greaves. And this really helps you dig deeper, understand your staff better, and you are going to be a better communicator. You will get better results and I guarantee you will change the culture. I love, love, love book recommendation. So it’s Emotional Intelligence 2.0. And I think also, what I like to reiterate with things like this is we should definitely get involved with our local childcare and early-learning associations but also learn from other experts in different fields, whether it be culture or leadership. And I think this is a really good example. Well, Jackie, thank you so much for coming on the show. I want to make sure that our listeners can get in touch with you if they want to talk to you a little bit more about these things. How best for people to find you? There’s a couple of ways. You can go to our website, which https://www.PleasanTimeChildcare.com. Or you can e-mail me: JWPleasanTime@gmail.com. There’s also an email on the website as well. So I am really I’m just humbled to have this opportunity. And if you have any questions or you want to just dig deeper or you just want to tap into something that’s bugging you, I would love to help you because we’re all doing it with the same purpose: the kids. And my heart is with them and I know that anybody listening, you’re part of the elite and so is yours. And I’m willing to help anybody because I think it’s just going make the profession just rise up and be amazing. Awesome. Thank you so much for putting out that offer to everybody, Jackie, and thank you so much for your wisdom and sharing with us your experiences over the years. And congratulations on having so much success and having an impact on so many children over those years. And thanks for joining us on the Preschool Podcast. Ron, thank you so much. It’s my pleasure.